The 11th parliament on Sunday (Feb 10) constituted 10 more parliamentary standing committees with the approval of Leader of the House and Prime Minister Sheikh Hasina. The JS committees of 10 ministries are: the social welfare, the primary and mass-education, the road transport and bridges, water resources, the disaster management and relief, power, energy and mineral resources, the youth and sports, the civil aviation and tourism, the public accounts and the estimated account committee. Chief Whip Noor-E-Alam Chowdhury placed separate proposals over the formation of the committees in the House. 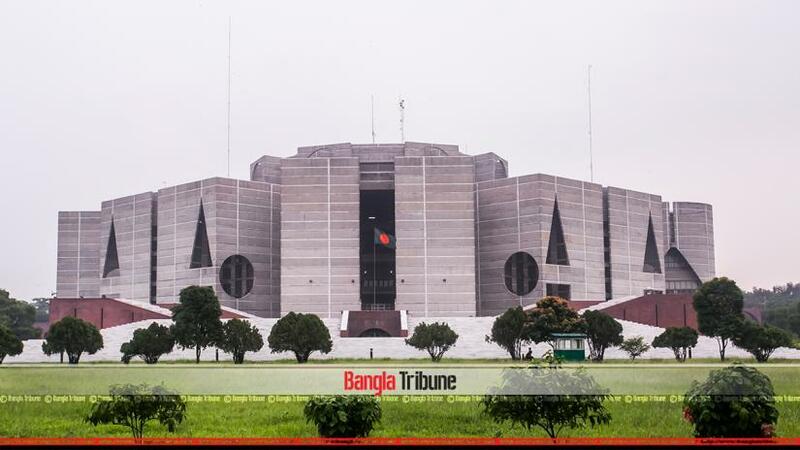 The parliament passed the proposals by voice vote when Deputy Speaker Fazle Rabbi Miah, who was chairing the House at that time, moved the proposals for endorsement, state news agency BSS reports. Rashed Khan Menon was made the chairman of the Parliamentary Standing Committee on Social Welfare Ministry while Sharif Ahmed, Segupta Yasmin, Sibli Sadik, Nasrin Jahan Ratna, Forhad Hossain and AKM Sarwar Jahan are as members. Mostafizur Rahman was made the chairman of the Parliamentary Standing Committee on Primary and Mass Communication Ministry while committee members are: Kazi Keramat Ali, Begum Ismat Ara Sadek, Meher Afroz, Ali Azam, Nazrul Islam Babu, Begum Shirin Akhter and Md Jahirul Islam. Ekabbar Hossain was made the chairman of the JS Standing Committee on Road Transport Industries Ministry while the other members are: Enamul Haque, Hasibur Rahman Swapan, Abu Jahir, Redwan Ahmed Toufiq, Solim Uddin Tarafdar, Sheikh Alauddin and Abul Hossain. AKM Enamul Haq Shamim, Afzal Hossen, Ekramul Karim Chowdhury, Shamsul Haq Chowdhury, Nazrul Islam, Faridul Haq Khan and Nurunnabi Chowdhury. ABM Tazul Islam will head of the Parliamentary Standing Committee on the Ministry of Disaster Management and Relief while the other members of the committee are Solaiman Haq Joadder, Panchanon Biswas, Aftabuddin Sarker, Mir Mostak Ahmed Robi, Juwel Areng, Mujibur Rahman Chowdhury and Masud Uddin Chowdhury. Headed by Mohammad Shahiduzzaman Sarker, the Parliamentary Standing Committee on the Ministry of Power, Energy and Mineral Resource was formed. The committee members are: Shamsur Rahman Sherif, Abu Zahir, Ali Asgar, Jaglul Haider, Nurul Islam Talukder and Aslam Hossain. Abdullah-Al-Islam Jackob was made the chairman of the JS Standing Committee on Youth and Sports Ministry while the other members are: Shree Biren Sikder, Nazmul Hasan, Begum Mahbub Ara Gini, Abdus Salam Murshedy, Juwel Areng, AM Naimur Rahman and Mashrafi Bin Murtoza. RAM Obaidul Moktadir Chowdhury was made chairman of the Parliamentary Standing Committee on Ministry of Civil Aviation and Tourism while the other members of the committee are: Engineer Mosharraf Hossen, Akramul Haq, Kazi Feroz Rashid, Tanvir Imam, Ashiqullah Rafique, Anwar Hossen Khan and Sheikh Tanmoy. M Abdus Shahid was made as the chairman of the Parliamentary Standing Committee on the Estimated Accounts. Committee members are: Nur-e Alam Chowdhury, Yousuf Abdullah Harun, AB Tazul Islam, Sheikh Fazley Noor Taposh, Fazley Hossen Badsha, Fazlul Haq Harun and Ahsan Adelur Rahman. Opposition lawmaker Rustam Ali Farazi was made the chairman of the Parliamentary Standing Committee on the Public Accounts while other committee members are: Dr M Mahiuddin Khan Alamgir, Abul Kalam Azad, Abdus Shahid, Afsarul Amin, Shahiduzzaman Sarker, RAM Obaidul Moktadir Chowdhury, Salman Fazlur Rahman, Abu Sayeed Al Mahmud Shawpan, Jahirul Haq Bhiyan Mohon, Monjur Hossen, Ahsanul Islam Tito and Mostafa Lutful Haq.